playingcards, 52 cards + 2 joker, intern. face, 4 jumbo index, poker - size (88 x 63 mm). 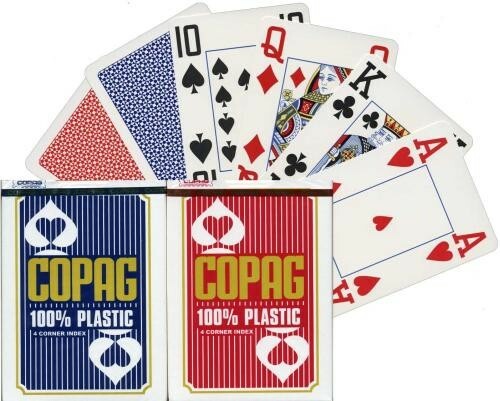 These cards are 100% Plastic - durable, washable and extremely long lasting.